What Information is Available for a Cayman Islands Company? 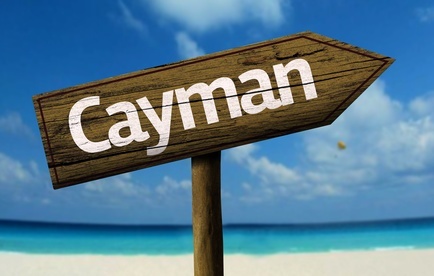 Because the Cayman Islands are a popular off-shore financial center, it is not uncommon for a U.S. firm to need to obtain corporate documents, such as a Good Standing Certificate or certified copies of the Certificate of Incorporation. A company also may want obtain basic information regarding outstanding liens for a Cayman Islands entity -- similar to a UCC, lien and judgment search in the U.S. What is available in the Cayman Islands, however, is different from what is available here in the U.S. In the Cayman Islands, these documents are not strictly public record, but are obtained through the entity’s registered agent. For a third party to obtain these documents, the target entity must give permission for the release of these documents to its registered agent. The registered agent then provides the requested documents. This is quite different than how it works in the U.S., where the documents are in the public record and are issued to any requestor by a government official, usually the Secretary of State’s office. There is really no equivalent to a UCC search in the Cayman Islands. Public registration of liens on personal property is not required in the Cayman Islands. If a Cayman company has an outstanding lien on personal property, this is known as a “charge.” The term “charge” is used in the U.K. also and means, simply, the security a company gives for a loan. In the U.K., however, a charge is publicly registered and available on the company’s record alongside the formation documents, annual reports and other company documents. In the Cayman Islands, these charges only have to be registered on the private books of the company. They are not placed on a public registry of any kind. What can be done is a search of “Mortgages and Charges” at the Department of Land and Surveys. This agency manages real property filings. Sometimes personal property charges are registered there, but this is not usual. So what else can be determined from the public record on a Cayman Islands company? The only other search available is a “cause list” search, which is a search of the cases that have appeared in the Cayman Island Courts. The two primary courts for civil matters are the Summary Court, which hears civil cases under £20,000, and the Grand Court, which is a court of unlimited jurisdiction. The Grand Court handles bankruptcy proceedings and contains the Financial Services Division, a special division created in 2009 to handle more complex financial cases that arise due to the status the Cayman Islands have as an offshore financial center. Each court publishes a weekly cause list which sets out the cases that are appearing before it. A cause list search is completed in two stages. The initial search determines whether or not any records appear. If a record is found, a search of the Register of Final Order and Judgment is performed to determine the final outcome of the case. As you can see, when looking at the public record for a Cayman Islands entity, there is a lot of information that is not available by U.S. standards. However, with the target entity’s cooperation, the information can be made more complete. Certificates attesting to the good standing of the entity, a copy of its charter documents and information on personal property liens can all be obtained from the entity and its registered agent. Without that cooperation, all that can be obtained is information on real property mortgages, as well as information on any adverse litigation, judgments or bankruptcy proceedings. And even going down in person (although the beautiful beaches may entice you) won’t change this situation!